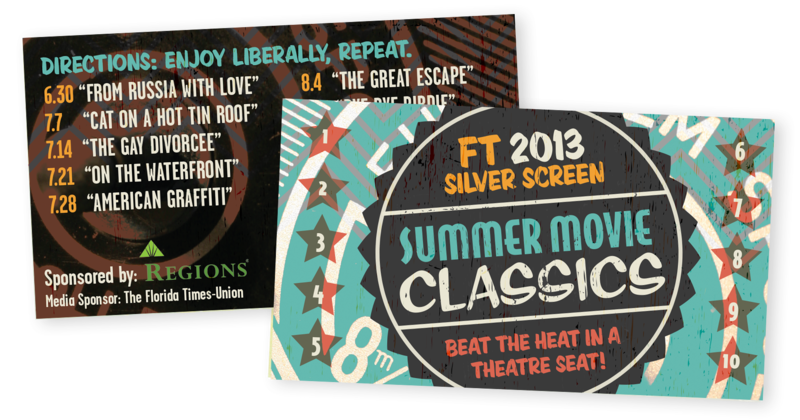 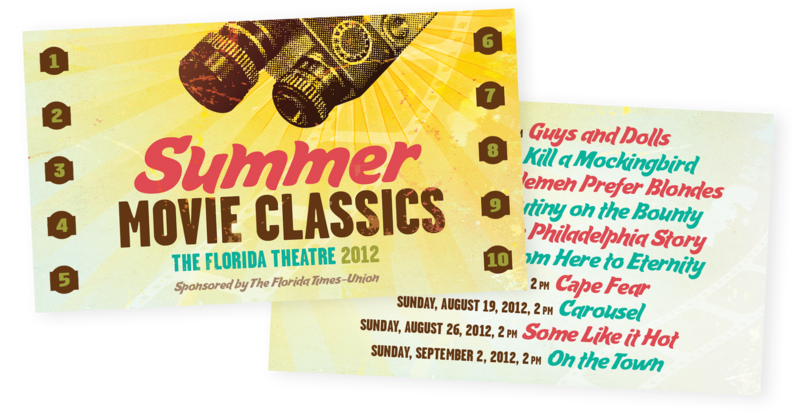 Each summer the Florida Theatre presents a Summer Movie Classics series, showing matinee movies on Sunday afternoons. 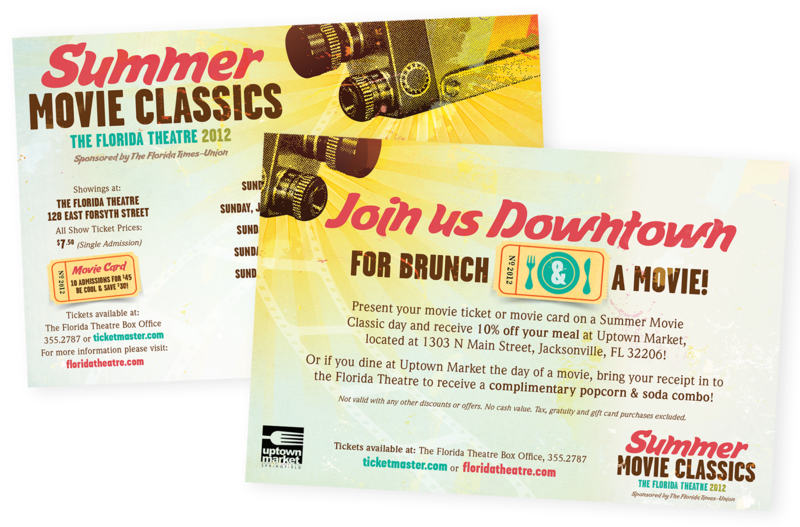 My designs for the 2013 and 2012 campaigns included retro graphic elements along with a fresh color palette evoking the beach. 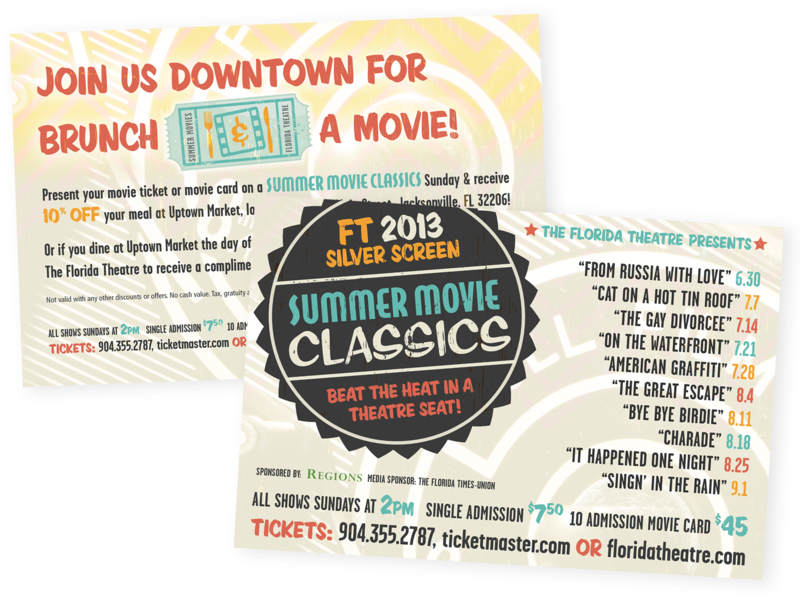 Promotional materials included posters, flyers, print ads, web graphics and a movie punch card.